This handy set of rules covers most of the games which disinformation artists play on the Internet (and offline). When you know the tricks, you’ll be able to spot the games. Even if you’ve read this list before, you might be surprised at how useful it is to brush up on these tricks. Postscript: I don’t know who wrote these rules, so I don’t know who to credit. Now the Main Stream Media is telling you: fear your government. In one of the most shocking articles that the New York Times has ever put out, a New York Times reporter has openly admitted that virtually every major mainstream news organization allows government bureaucrats and campaign officials to censor their stories. For example, almost every major news organization in the country has agreed to submit virtually all quotes from anyone involved in the Obama campaign or the Romney campaign to gatekeepers for “quote approval” before they will be published. If the gatekeeper in the Obama campaign does not want a certain quote to get out, the American people will not see it, and the same thing applies to the Romney campaign. The goal is to keep the campaigns as “on message” as possible and to avoid gaffes at all cost. But this kind of thing is not just happening with political campaigns. According to the New York Times, “quote approval” has become “commonplace throughout Washington”. In other words, if you see a quote in the newspaper from someone in the federal government then it is safe to say that a gatekeeper has almost certainly reviewed that quote and has approved it. This is another sign that “the free and independent media” in the US is a joke. 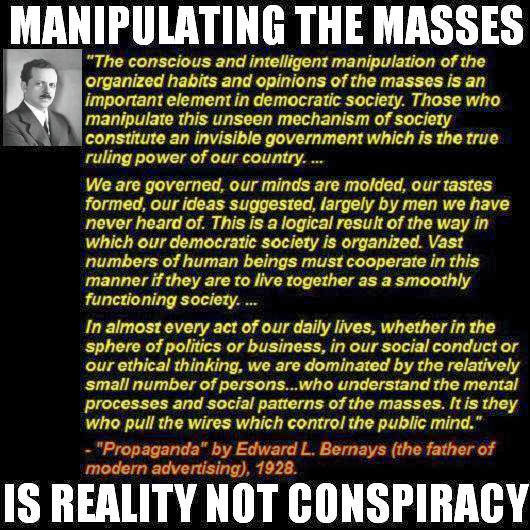 What we get from the mainstream media is a very highly filtered form of propaganda, and that is one reason why Americans are turning away from the mainstream media in droves. People want the truth, and more Americans than ever realize that they are not getting it from the mainstream media. The following quote comes from the recent article in the New York Times mentioned above and it is absolutely jaw dropping…. The quotations come back redacted, stripped of colorful metaphors, colloquial language and anything even mildly provocative. They are sent by e-mail from the Obama headquarters in Chicago to reporters who have interviewed campaign officials under one major condition: the press office has veto power over what statements can be quoted and attributed by name. Most reporters, desperate to pick the brains of the president’s top strategists, grudgingly agree. After the interviews, they review their notes, check their tape recorders and send in the juiciest sound bites for review. The verdict from the campaign — an operation that prides itself on staying consistently on script — is often no, Barack Obama does not approve this message. This is an article that everyone needs to read. If you have not read it yet, you can find it right here. What all of this means is that both the Obama campaign and the Romney campaign essentially have “veto power” over any quotes from those campaigns that we see in the newspapers. According to the New York Times, virtually every major news organization has agreed to submit their quotes for “quote approval”…. It was difficult to find a news outlet that had not agreed to quote approval, albeit reluctantly. Organizations like Bloomberg, The Washington Post, Vanity Fair, Reuters and The New York Times have all consented to interviews under such terms. This is absolutely disgusting, and it goes against everything that our media is supposed to stand for. The following is what Joseph Farah had to say when he learned about this story…. All I can say about these people I once considered “colleagues” is that I am so ashamed of them. I am mortified. They are humiliating themselves and a vital institution for any free society. It seems the biggest threat to the American tradition of a free and independent press is not government coercion. It’s the willing submission of the press to being handled and managed by government and politicians. Keep in mind that Joseph Farah has been working in the world of journalism for decades. He is deeply saddened to see what is happening to a profession that he deeply loves. Just check out what Dan Rather had to say during a speech back in 2009…. Likening media consolidation to that of the banking industry, Rather claimed that “roughly 80 percent” of the media is controlled by no more than six, and possibly as few as four, corporations. And Dan Rather is right. The control over the media in the United States is more tightly concentrated than ever before. Back in the early 1980s, approximately 50 corporations essentially had nearly total control of the media in the United States. Today, just six monolithic media corporations dominate virtually everything you watch, hear and read. These six gigantic corporations own television networks, publishing houses, movie studios, newspapers, radio stations, music labels and video game companies. Most Americans are absolutely addicted to information and entertainment, and those six massive corporations supply the vast majority of the information and entertainment that Americans take in. The amount of control that those six corporate giants have is absolutely incredible. For example, the average American watches 153 hours of television a month. If you can beam 153 hours of “programming” into someone’s head each month, that gives you an awesome amount of influence over that person. 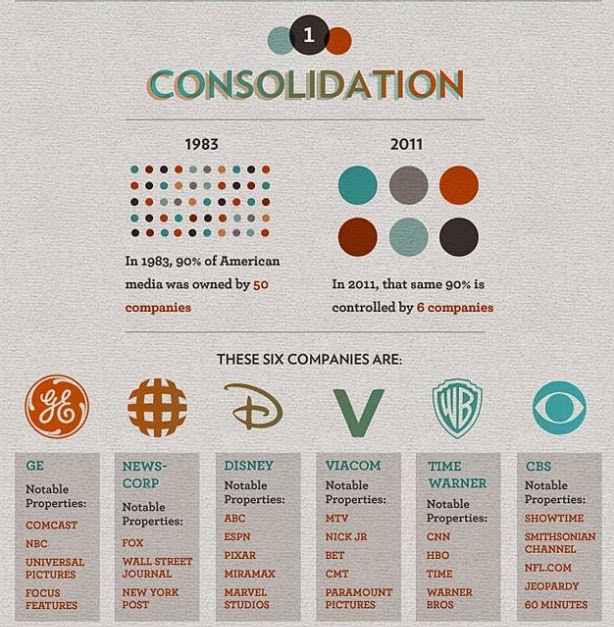 The six monolithic corporations mentioned above are Time Warner, Walt Disney, Viacom, Rupert Murdoch’s News Corp., CBS Corporation and NBC Universal. There are some areas of the media that are not completely dominated by those corporations, but even control over those areas is becoming more highly concentrated than ever. For example, Clear Channel now owns over 1000 radio stations across the United States. The power that Clear Channel has over the radio industry in America is absolutely staggering. Even control over the Internet is becoming much more concentrated. Giant corporations such as Facebook, Google, Yahoo and Microsoft are increasingly controlling what we see and hear online. But it really is the “big six” that dominate most of what we see, hear and read on a daily basis. In a previous article, I detailed a portion of the vast media holdings of these gigantic corporations…. Please keep in mind that the list above is not exhaustive. It only contains a sampling of the companies that those six corporate giants own. So are you starting to get an idea of how powerful they are? If you ever wondered why the version of “the news” that you get is so similar no matter where you turn, it is because control of the news is concentrated in just a very few hands. So who controls the “big six” media corporations? Would it surprise you to know that the boards of directors of those big media corporations have a tremendous amount of overlap with the boards of directors of large banks, large oil companies and large pharmaceutical companies? The following is from the Fairness & Accuracy in Reporting website…. Media corporations share members of the board of directors with a variety of other large corporations, including banks, investment companies, oil companies, health care and pharmaceutical companies and technology companies. You can find a list that shows how these boards of directors overlap and interlock right here. The giant media corporations are not going to criticize the establishment because they are the establishment. The messages that these media behemoths pound into our heads are going to be the messages that the establishment wants pounded into our heads. 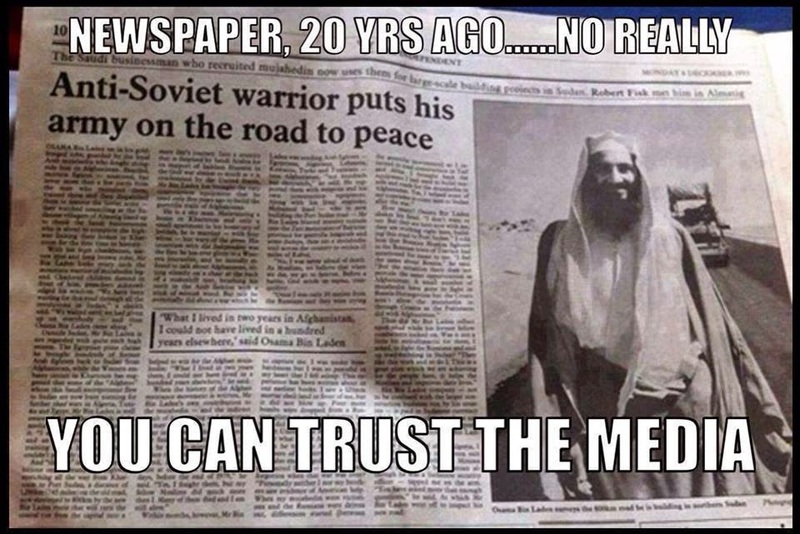 Anyone that believes that the mainstream media is “independent” and that it does not have “an agenda” is being delusional. 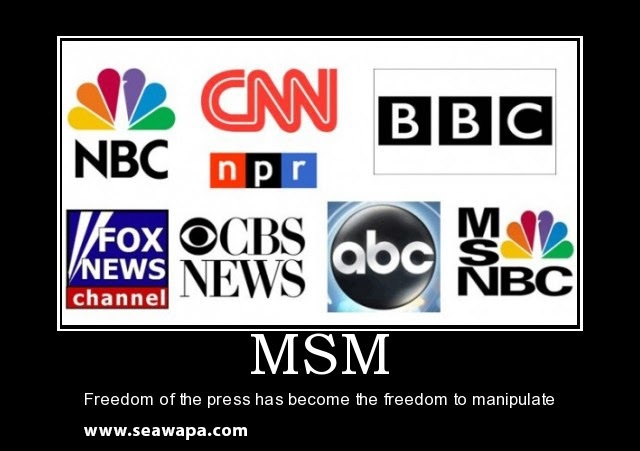 Of course it is also worth mentioning that much of what we get from the mainstream media is also often directly controlled by the federal government. Former Washington Post reporter Carl Bernstein (of Woodward and Bernstein fame) has discovered that hundreds of American journalists have worked directly for the CIA. Not that the federal government and the establishment are opposed to one another. The truth is that they very much work together hand in hand. But sometimes the federal government has slightly different priorities than the corporate establishment does. In any event, the key point to take away from all this is that the news and entertainment that we all enjoy on a daily basis if very highly censored and very highly controlled. It is imperative that we understand that those that own and control the media are trying to shape society in a certain way. They want to impose their values and their vision of the future on all the rest of us. You will notice that none of the major news organizations speak out against the “Big Brother” police state control grid that is going in all around us. Instead, they insist that all of this added “security” will keep us safe even as our liberties and freedoms are being badly eroded. You will notice that none of the major news organizations speak out against the population control agenda of the global elite. Instead, they insist that more “family planning” will help the environment and make the world a more prosperous place for all of us. You will notice that none of the major news organizations speak out against the Federal Reserve and none of them are warning us about the financial collapse that is rapidly approaching. Instead, they tell us to keep having faith in the system and they promise us that everything is going to be okay. 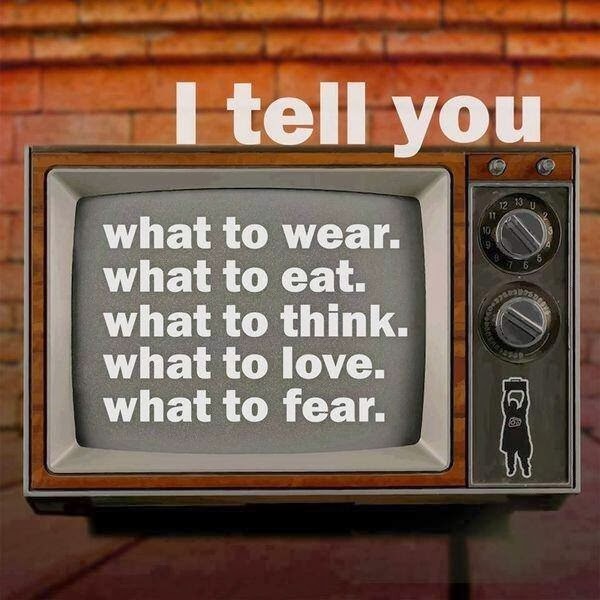 Well, you can mindlessly believe the corporate media if you want, but I believe that in this day and age it is absolutely imperative that we all learn to think for ourselves. Don’t be a mindless robot for anyone. Think for yourself and make your own decisions. The truth is out there and you can find it if you are willing to go search for it.